Omahans have a place to go for some cool forests, mountain roads, giant lakes, historic landmarks, national monuments, and we only have to cross one state line. South Dakota is known for its rich fossil fields, the Corn Palace, and Wall Drug but mostly, it is known for Mt. Rushmore. The area around Mt. Rushmore has the largest number of tourist spots. Certainly, the South Dakota Black Hills is not to be missed but don't pass up on all the great wonders in the rest of the state. South Dakota is T. Rex territory. Purely by chance and curiosity, the largest T. Rex was discovered in 1990 near Hill City by self-trained dinosaur expert Sue Hendrickson. The dinosaur was sold by the land owner to Chicago's Field Museum for $8.36 million. In the middle of the right half is Huron, home to the state fair. Northeast South Dakota has Watertown, and Sica Hollow State Park, both right on I-29. Just to the west is Aberdeen on U.S. Highway 12. South Dakota has some beautiful countryside and wonderful communities. Here are the most common. Aberdeen is in northeastern South Dakota. The Dacotah Prairie Museum is a great place to visit. The Sand Lake National Wildlife Refuge is camera territory. More. Chamberlain is on the Missouri River right next to Interstate 90. It is a great place to pick up some Lewis and Clark Expedition history. The Akta Lakota Museum and Cultural Center is a tribute to the Sioux nation by the St. Joseph Indian School. The hours of operation change depending on the month: Winter Hours: November 1 through April 30th: 8 A.M.-4:30 P.M. Monday through Friday, and Summer Hours May 1st through October 31st: 8 A.M.-6 P.M., Monday through Saturday, and 9 A.M.-5 P.M. on Sunday. Mt. Rushmore is the most famous but no way the largest faces carved in South Dakota's rock mountainsides. Nearly twice the size of Mt. Rushmore faces, the face of Crazy Horse is over 70 feet tall!. The sculptor, Korczak Ziolkowski responded to the Lakota native's desire to show their heroes too. The task was even more monumental than Mt. Rushmore. After the sculptor's death in 1982, his family has continued the work. The face was not completed for another 16 years. The sculpture is a work in progress today. Scheduled to be completed sometime in the early 21st century, the final height is expected to be approximately 600 feet tall. Be able to write in the memoirs that your great grandchildren will read how you were there when it was still being sculpted. Visit the Crazy Horse Website for more info. Two large sculptures carved in stone depicting America's heroes; the comparisons of Mt. Rushmore and the Crazy Horse Memorials cannot be avoided. Both are in the same general area of South Dakota being only 17 miles apart, both sculptors died before work was completed. Both attractions not to be avoided. On your northward journey to Mt. Rushmore, and south of Crazy Horse Memorial is Custer, South Dakota on Highway 16, just off Highway 385. This is where you take the toddlers. You want to make sure you go along when you take them to the Flintstones Theme park and Campground. If you have a camper, this is the best place to park for a bit while you visit all the other nearby attractions. Fred, Barney, Wilma, family, pets, and friends will entertain you as much as the younger folks. You probably have never ridden in a Flintmobile before and this is your one chance. Come on an empty stomach so you can have both a Brontoburger in the morning and some Dino Dogs before you head out. The kids will enjoy Mt. Rushmore from a much better perspective after seeing Mount Rockmore. You can call Bedrock City at 605-673-4079 or 800-992-9818. Custer State Park is slightly east of Custer on Highway 16. This is where the buffalo are. It looks like 99% of them must be there. The 73,000 acre park has mountains of granite, lakes of crystal, roads for rental jeeps, and trail rides for an un-rushed tour, or for hiking. You can fish in the waters or take in a play at the Black Hills Playhouse. There is a lot of ground to cover so plan on camping out. Reservations are available at 800-710-2267. Lodges are also available at 800-658-3530. Sadly, Hollywood hasn't created the westerns as they used to do. If it weren't for the westerns, a lot of people wouldn't have heard of Deadwood. Think about it, the name starts with "dead." Recently, one of the most popular TV series was called Deadwood. The Adams Museum is a great place to see dead things, ... things that have been dead for a very long time, called dinosaurs. The museum has a rare ancient marine reptile called a plesiosaur. Since it is more or less dry there, do you think it swam there? Sure did. Not to there but it did swim while it was alive there, and might have been born there. Stop by, they'll tell you why. You will learn that Deadwood makes dead "interesting." Just don't die while visiting there. But, if you do, you will be in good company. James Butler "Wild Bill" Hickock hung out there at the time of his demise in 1876. . "Raiz ya"
Calamity Jane1 also spent some time there. She was a friend to Wild Bill to the end, and even captured his killer. They were never involved romantically as some texts report. She died in Terry, South Dakota, but is buried in Mount Moriah cemetery in Deadwood near Wild Bill. Deadwood takes advantage of its old west historic reputation with events that will bring you up to snuff even if you came along after the era of westerns. Deadwood is located at the northern end of the Black Hills area. More - Deadwood Discovered. Elk Point is a short distance north of North Sioux City, South Dakota. Elk Point has a Lewis and Clark Heritage Festival during August. A re-enactment of the first election west of the Mississippi, in which the party elected Patrick Gass as sergeant to take on the duties of Charles Floyd, who had died. Call 605-356-2465 for additional information. Outside of South Dakota, few people have heard of Keystone, South Dakota but it is the most visited place in the entire state. Mt. Rushmore National Monument needs no introduction unless you are not from the United States, and even then, it would be rare. Keystone and Mt. Rushmore are essentially the same place. In 2002, approximately 1,000,000 people will visit Mt. Rushmore. This figure far exceeds past years. At the elevation of 5,600 feet, sixty foot sculptures of four of the country's presidents* are carved in stone on the side of a mountain. The "Shrine of Democracy, " a project started in 1929, originally, the intent was to sculpt the figures down to the waist. Unfortunately, the sculptor Gutzon Borglum had a task that would consume the last 14 years of his life. His son, Lincoln, continued the work for nearly a year to get the monument to the point that it appears today. Some minor touchups have maintained the monument's original appearance. No matter how many pictures you see of the monument, it cannot compare to seeing it in real life. More on Keystone More on Mt. Rushmore. (P.S. I don't know Cher,* maybe the odds are a little high, but seems like it could happen). The Rushmore Cave is the closest cave to Mt. Rushmore and home of the legendary "Big Room." Stalagmites and stalactites galore. Open from May through October. Call 605-255-4384 or on the web at Beautiful Rushmore Cave. Mitchell is located in the southeastern part of South Dakota along Interstate 90 west of Sioux Falls. Make sure you stop at the Interstate information Center approximately midway between the Sioux Falls and Mitchell. No matter where you go in South Dakota, DO NOT, DO NOT miss Mitchell. Anyone visiting Mitchell for the first time leaves forever changed after seeing a palace made of corn. Yes, South Dakota raised corn, of practically every color, placed in just the right spot, along with prairie grasses to form a myriad of colors, images, and an exterior that stands out. Think of the effort! Now, get this, the corn you are seeing is reasonably fresh. Think January 1st. Yes, every year the corn is replaced! Mobridge is in the middle of the state near the top and situated in the cusp of Lake Oahe, which is actually the Missouri River. Sitting Bull is buried at Mobridge. Korczak Ziolkowski* created a bust of Sitting Bull for the brial site. A monument to has been erected next to Sitting Bull's burial site. A monument to Jedediah Smith* is also in Mobridge. The Klein Museum is open April through October, but closed on Tuesdays and during lunch hours. They open at 1 on Saturday, 2 on Sunday. You will want to visit the museum for all of the historic artifacts and Native American displays. Call 605-845-7243 for additional information. Mobridge has a Lewis and Clark Rediscovery Festival during August. Call 888-614-3474 for additional information. The state capitol of South Dakota, Pierre is in the middle of the state, east side of the Missouri River, and on the Missouri River. If you go to Pierre, you need to know one very important thing: It is pronounced Pier. You can visit the state capitol and take the tour of the grounds and interior. Most impressive is the Flaming Fountain at the Veterans War Memorial at the edge of Capitol Lake. The flame is burning natural gases that accompanies the water from deep inside the earth's surface. You can walk for a portion of the Lewis and Clark Trail for approximately 12 miles starting at Farm island east of Pierre. Call 800-962-2034 for a map. Rapid City is located on the eastern edge of, and at the front door to the Black Hills. Rapid City has more free attractions than anywhere else in the country. Each summer the city has one of the largest pow-wows in the country. Call for vacation package information at 800-400-6194 and for tourist information at 800-487-3223 or on the web at the Rapid City Chamber and Visitor's Bureau. The Journey Museum in Rapid City covers most of South Dakota's history going back only two and a half billion years, still a considerable amount. You will come out feeling like you haven't been cheated or missed out on too much. You will also feel like you should have enjoyed the 'journey' before. Besides the web, you can call 605-394-6923 for additional information. The Museum of Geology has a wonderful collection of fossils from the prehistoric era such as giant pigs, sea lizards (mosasaurs), and three-toed horses. If you are moving to the area or staying for the summer, you want to sign up for the paleontology courses where you will get a chance to visit current fossil digging sites and work with the country's experts and professionals. Could you do anything greater for a kid? Sioux Falls, named after the water falls in the Big Sioux River, is in eastern South Dakota at the intersection of Interstates 29 and 90, making the city have easy access to the four compass points. Sioux Falls is South Dakota's largest city. The downtown no web for Washington Pavilion of Arts and Sciences (301 S. Main Ave. ( )) should be visited to enjoy all the great exhibits, especially, their star attraction, Stan, a 12-foot high T-Rex skeleton. You will also get to see numerous pieces of art representing the cultural history of the Midwest. You wouldn't want your kids growing up saying that you never took them to Children's Museum of South Dakota. Great shopping at The Empire Mall, great people too. More. Spearfish sits on the northern edge of the Black Hills. Sturgis is in western South Dakota near Mt. Rushmore, along I-90. The class of people that has the largest percentage that has seen Mt. Rushmore? Think Harley. 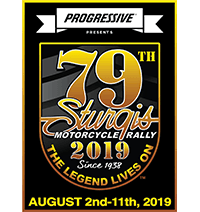 For one week in August each year, Sturgis has visitors from every corner of the world! When you get that close to Mt. Rushmore, you go and so they do. The Sturgis Bike Week has in excess of 200,000 bikers for one last summer's bash. If you have a motorcycle, you already know about this annual event, if you don't, click here. If you need a motorcycle, click here. If you travel along Interstate 90 on a journey towards the Black Hills, Mt. Rushmore, you might see some advertising for Wall Drug. If you don't, pull over, you are asleep or blind. Regardless of the sell, you absolutely must stop when you get there. Wall Drug has evolved to an emporium of 26 shops, galleries, and restaurants, a life-size T-Rex kids play area, and when was the last time you had a buffalo burger? You soon find this isn't a stop, this is a day stay. Plan ahead by calling 605-279-2175 or on they web at Wall Drug. Yankton is just across the border in South Dakota from Nebraska. Yankton is home to a great man-made lake (meaning an enormous dam, Gavin's Point). If you can't swim, stay away from the dam, if you drown there, it is a long way down and your casket will be empty. The Lewis and Clark Lake is the state's largest lake and the largest lake on the Missouri River. Great for skiing, fishing, camping, and regular lake activities. The Lewis and Clark Lake is aptly named because the exploration team of camped here. I can't imagine that the area looked the same without the immense size of the lake and concrete dam. Yankton has a Lewis and Clark Festival during August. There are lots of things to do in and around the Yankton area. More. South Dakota is a fun place. For more on South Dakota, check out the South Dakota Official State website and this link More.